I received a gift card and sangria in order to facilitate this review. National Sangria Day is December 20th. Some of you may be thinking but December is for the spiced drinks, yet you should not be too quick to discount this white blend of fruit. 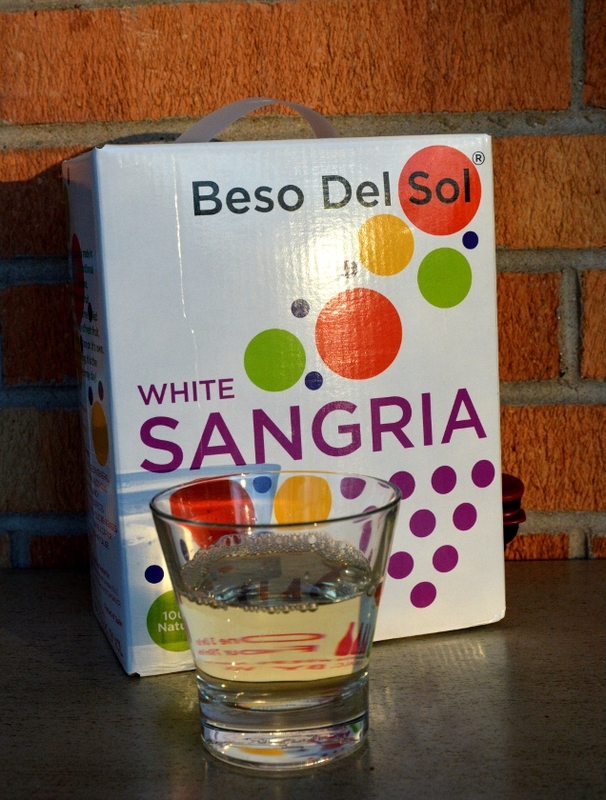 Beso del Sol has a bright white sangria that can bring to mind the warmth of summer. Although seeing as it is about fifty degrees in Chicagoland, perhaps this is the perfect way to celebrate the warm-ish weather. We opted for salmon because we found a delightful piece of wild sockeye. Having grown up in salmon country, you may not know that our love for this is deep. However, while you could just enjoy the fish for the natural flavor. There are a few not so enthusiastic fish lovers in the family. So, what better way than to fix this with the perfect pairing! Let me tell you this was a hit. Fish tacos were consumed when usually they can be passed by for some. 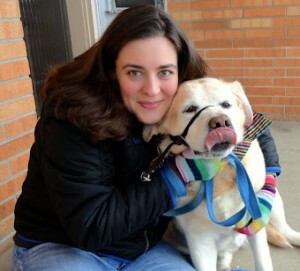 Together they made a perfectly healthy dinner which is great for our busier holiday schedule. Beso del Sol has a white sangria! Rejoice all around all of you that prefer the whites. That would be just me possibly, however, I love that I can enjoy sangria without having any of the red wine effects. Sure sangria is delightful, I just find it even more enjoyable without that mouth drying feel of tannins. I know that you red wine lovers are sighing that it’s more than that but we can agree that you should just drink all the red sangria and I can have the white. No one leaves unhappy because that is a box of Beso del Sol. Enough to share with a crowd of even your not-so-closest friends. The pairing is flawless. 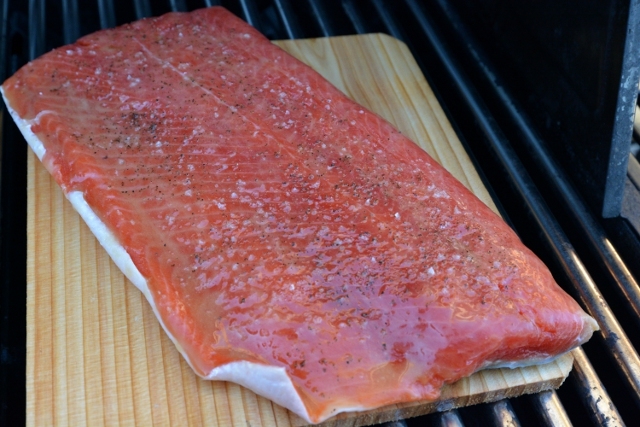 We crafted a citrus glaze for our cedar planked salmon. I still can’t believe it was warm enough to be outside grilling. There was some disbelief that the salmon was done as wild salmon doesn’t change color. However, you can use the firm touch test or check to 145° F.
We piled our tacos with some mushrooms, cucumber, carrot, and spinach. Of course, you can customize to your tastes. The reasoning was to provide some crunch and moisture without having to overload our tacos in glaze. I recommend prepping your vegetables before everything else. A perfect pairing for Beso del Sol White Sangria. 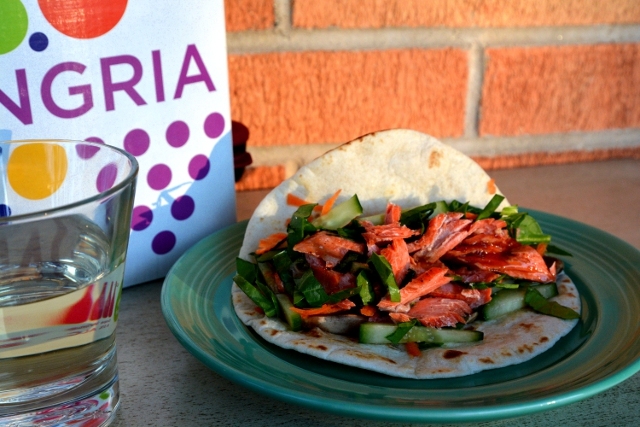 The combination improves the fish taco and the sangria! Soak your cedar plank per directions. Place salmon skin side down on plank. Cook from 10-20 minutes until done (your salmon flakes). Time will vary on thickness and size of your salmon. Combine glaze ingredients in a small pot on the stove. Reduce until syrupy about 15-20 minutes on medium heat. Top with vegetables and flaked salmon before drizzling glaze over the very top. Enjoy with a glass of sangria!